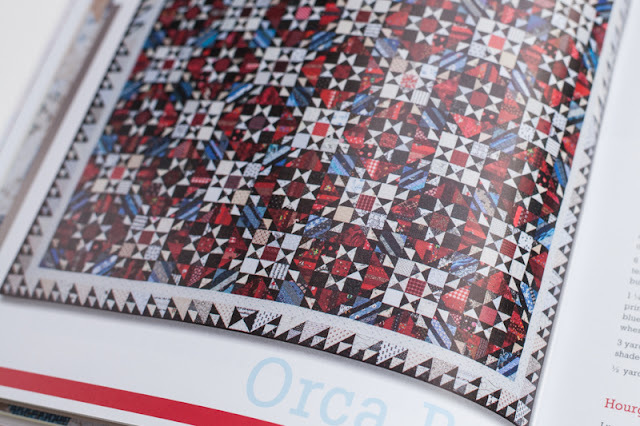 I actually won a book during last week's Portland Modern Quilt Guild meeting! 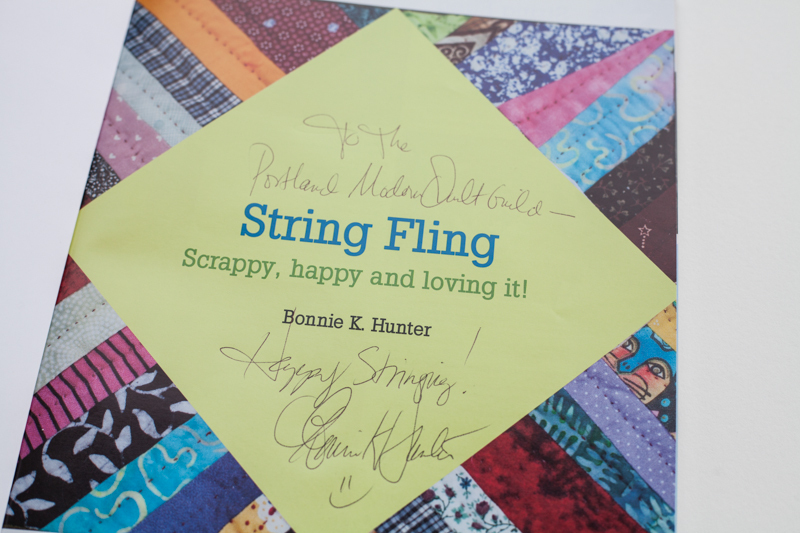 It's called String Fling: Scrappy, Happy and Loving It! by Bonnie Hunter. 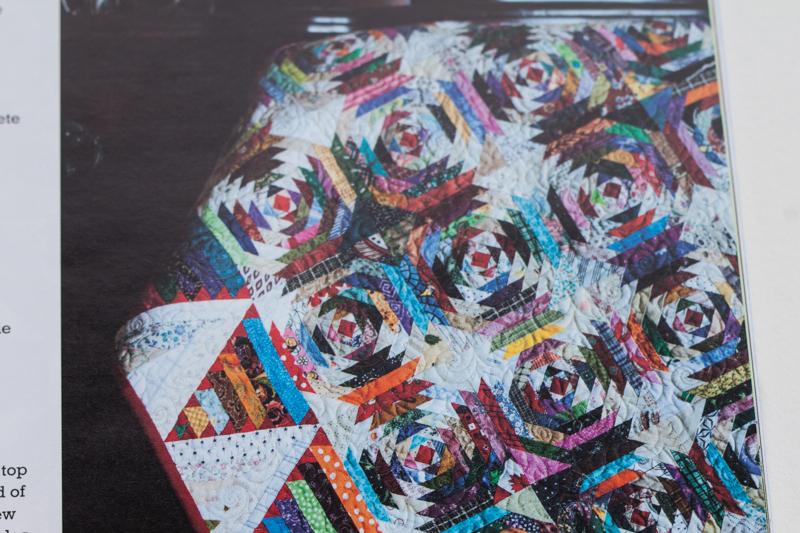 If you don't recognize her name she is behind the latest piecing craze: Scrappy Trip Around the World. 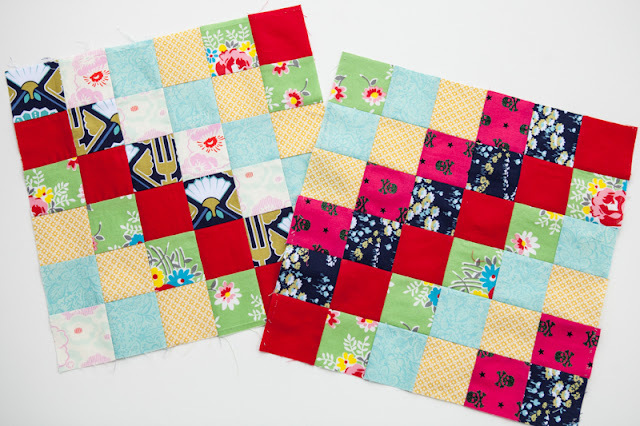 Here are my blocks for Do. 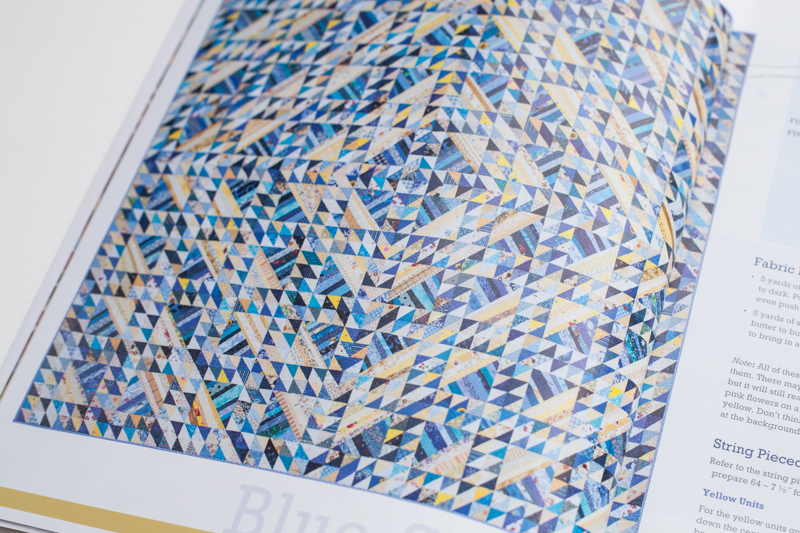 Good Stitches this month - I am looking forward to doing a full value quilt with this pattern. 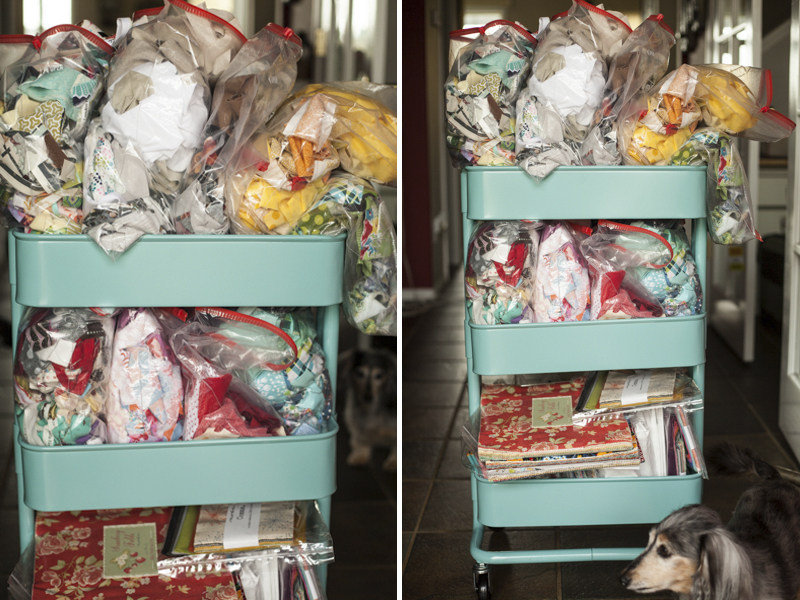 But before I go into the details of this book I want to give you full disclosure on my mess of a fabric scrap area... this Ikea Raskog cart has helped a little. 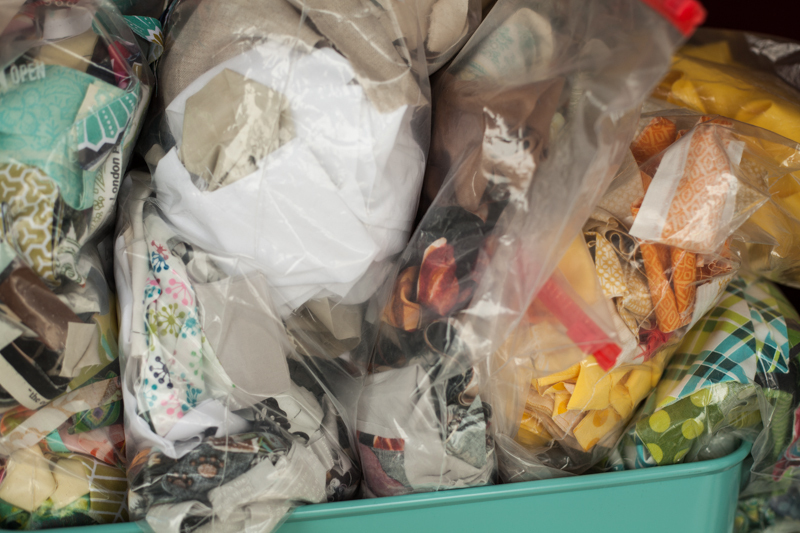 I have a rubbermaid bin in the closet full of even more scraps. Having this cart close to my work area is important so I can quickly put away the scraps. Right now I organize by color in these very large ziploc bags. It's not the prettiest solution but for now it's working. The bottom shelf are my kits and fabric packs. Since my cart is OVERFLOWING I need to do some kind of stash buster quilt! This book is my answer by using string foundation piecing. I haven't dived into yet but the directions look easy and look at all this inspiration! 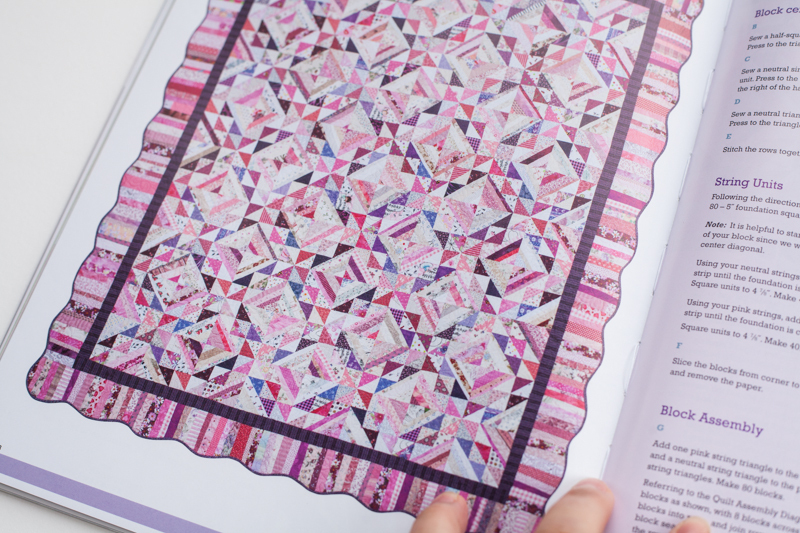 I am sure you will be hearing more about this book and technique in the months to come since I need to get my fabric scraps under some kind of control! Thank you to Bonnie for the donation to our guild. I'm glad you posted some pictures of it, looks awesome... Some of those quilts look pretty intense! Thanks Amber! It looks like a lot of pieces parts but they are paper pieced first.